All Flixel plans are auto-renewing prepaid subscriptions. Subscribers can cancel their plan at any time before renewal and it will remain active until the end of the subscription period. Sign in to your account on flixel.com or Cinemagraph Pro to be redirected to the store in which your plan was purchased. From there, you can update your billing information or cancel your plan. Select Account Settings under the profile tab. Click Manage Subscription to be redirected to the store in which your subscription was purchased and cancel your plan. 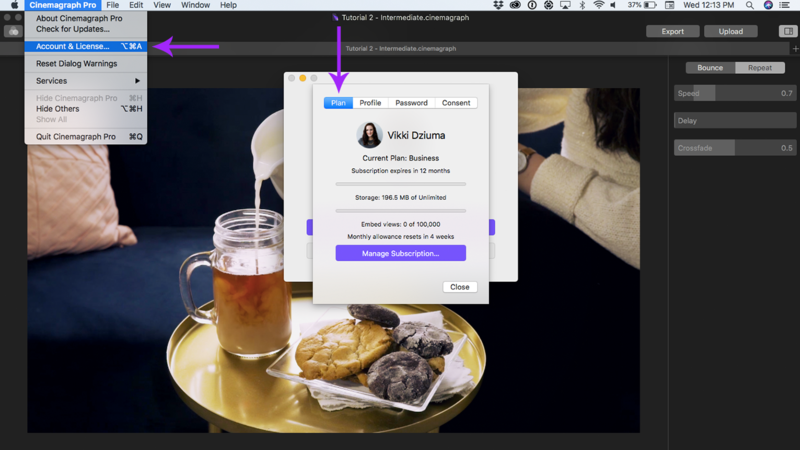 Go to the Account & License window under the Cinemagraph Pro menu or use the keyboard shortcut ⌥⌘A (Option-Command-A). Select Account Settings and click on the the Plan tab (default). Click Manage Subscription to be redirected to the store in which your subscription was purchased and cancel your plan. 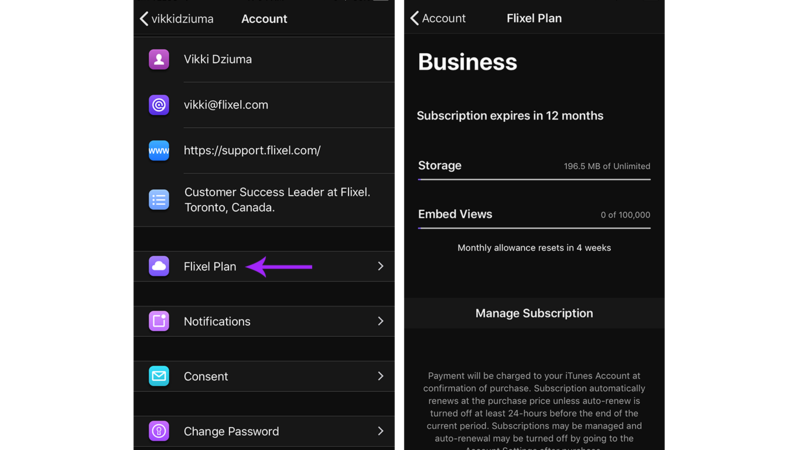 Select the settings icon under the profile tab to access your account settings and select Flixel Plan. Tap Manage Subscription to be redirected to the store in which your subscription was purchased and cancel your plan.